Danny Trejo Ain't No Biz Like the Taco Biz! Danny Trejo Says There Ain't No Biz Like the Taco Biz! 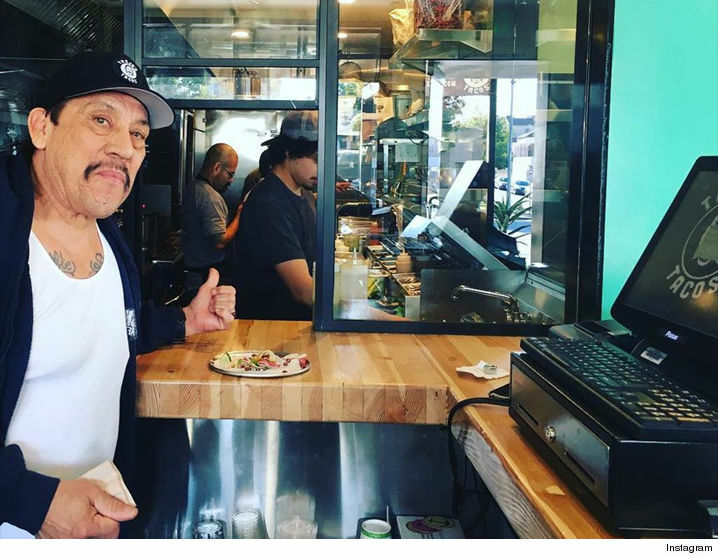 Danny Trejo is known for being a badass on the big screen ... but he's becoming more and more popular for serving badass tacos to hungry Los Angelenos. We got Danny at LAX -- just in time for National Taco Day -- and he says business is so awesome at his Trejo's Tacos restaurant, he's about to open a second one. And if you're looking for a bonus side order to go with your eats ... Danny's gonna make you an offer you can't, or shouldn't, refuse. Check it out.